Field Marshal Montgomery's battle plan for Normandy, following the D-day landings on June 6, 1944, resulted in one of the most controversial campaigns of the Second World War. 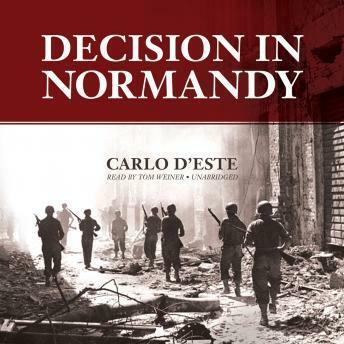 Carlo D'Este's acclaimed book gives the fullest possible account of the conception and execution of Montgomery's plan, with all its problems and complexities. It brings to light information from diaries, papers, and letters that were not available in Montgomery's lifetime and draws on interviews with senior officers who were involved in the campaign and have refrained from speaking out until now. This is military history at its most dramatic and destined to become the definitive account of the Normandy campaign.